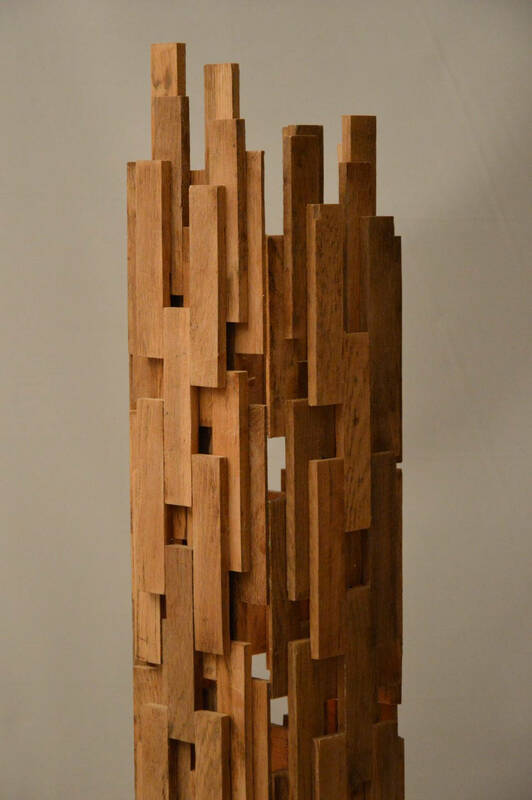 Design lamp made of recycled oak wood. 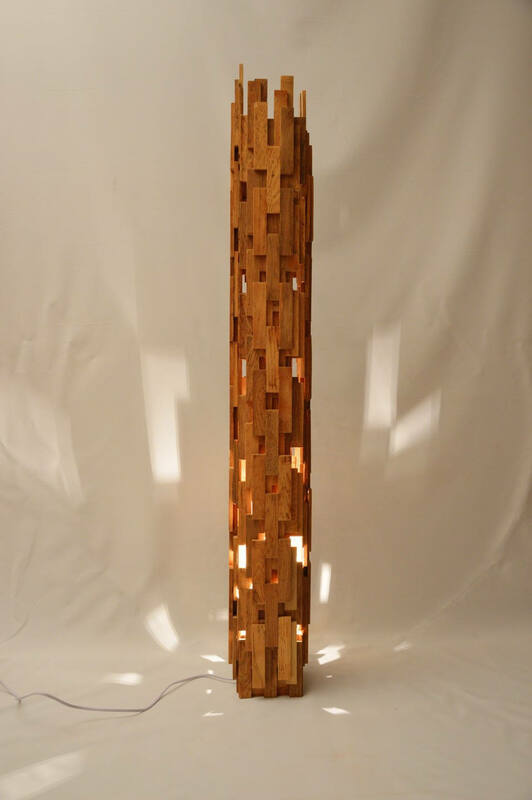 Large floor lamp. Unique and original design. Unique cable made especially for this lamp. 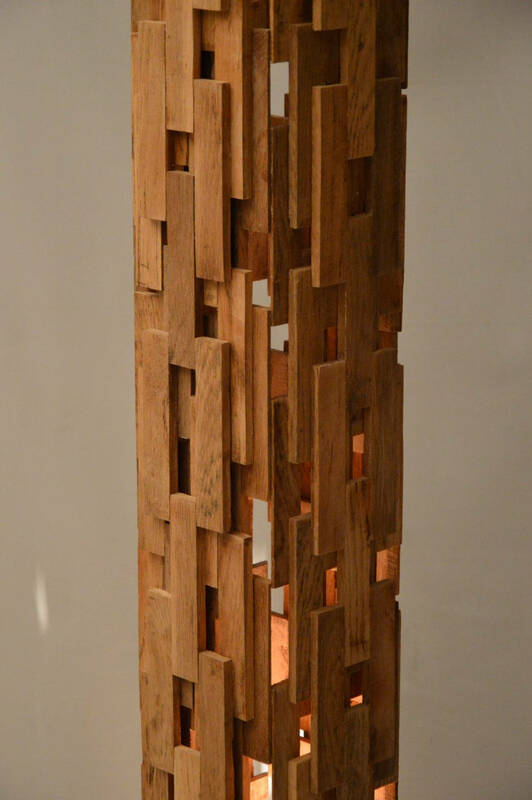 Large rectangular lamp more than 120 cm in height.